Birthplace : Woodstock, Vermont, U.S.
George Perkins Marsh is best remembered for his work Man and Nature (1864), which was later revised as The Earth as Modified by Human Action (1874). Published one hundred years before the ecology movement of the 1960s, Marsh's theories recognized human impact on the environment and have since influenced ecologists throughout the world. A skilled diplomat, Marsh is also acknowledged for his successful posts as ambassador to both Turkey and Italy. 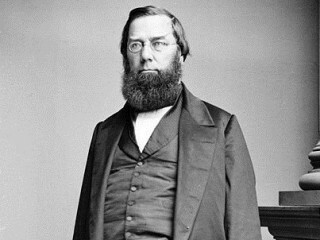 View the full website biography of George Perkins Marsh.